On 24 January 2019, KBZ Bank was awarded the President’s Honourary Award in Nay Pyi Taw for outstanding performance in tax payments for financial assessment year 2017/2018. 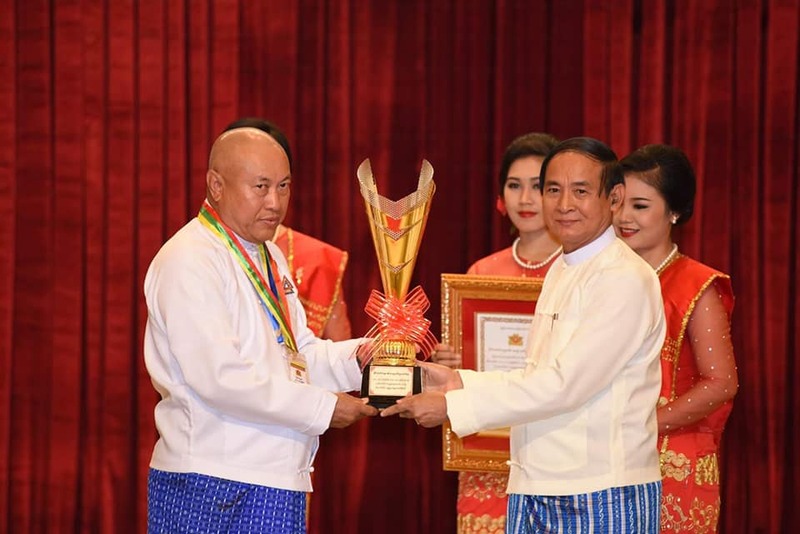 President U Win Myint conferred the award to U Aung Ko Win, Chairman Emeritus of KBZ Bank. KBZ Bank has consistently paid the highest amount of income tax for 7 consecutive years. This notable award gives recognition to honest, accountable and responsible businesses as well as to express gratitude for their support of Myanmar’s development projects. We sincerely thank every one of our staff for contributing to the bank’s accomplishments.